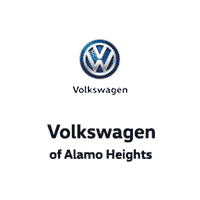 You might know us as a popular Volkswagen dealership, serving the greater San Antonio areas. We are… But, that’s not all we are. We’re your neighbors with a vested interest in keeping you safe and confident while you’re on the road. That’s why we choose to sell new Volkswagen and used car models. It’s also why we offer first-rate Volkswagen service. Our commitment to treating you in a neighborly fashion extends from our inventories and auto repair service to our no-frills, easy-to-comprehend auto financing. This comes not only in the form of car loans and leasing for drivers from San Antonio, Leon Valley, Live Oak and Schertz, but a tenacious spirit dedicated to getting the flexible terms you deserve. Please feel free to explore our entire site and see all of the products, services, and pre-buy car research we have to offer. If you have any questions, drop us a line, give us a call, or drop by 1402 N.E. Loop 410 Expressway San Antonio, Texas. We hope to have the pleasure of meeting you soon.